SAN FRANCISCO – HawkEye 360 unveiled RFGeo, its first radio frequency signal mapping product. 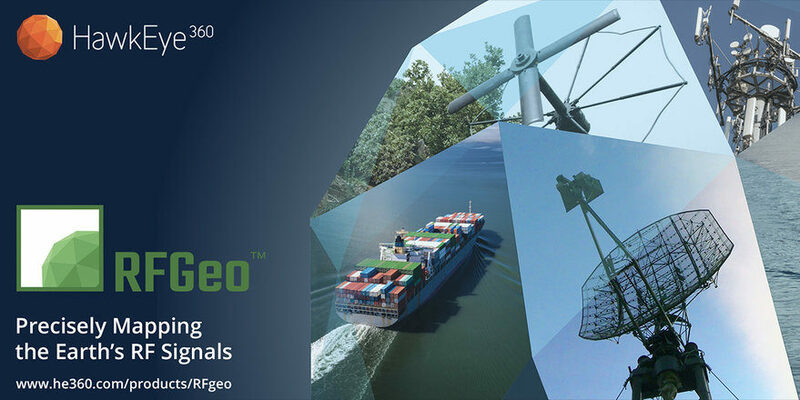 Initially, RFGeo will help customers identify and geolocate maritime VHF radio channels, marine emergency distress beacons and vessel Automatic Identification System signals, the company announced April 4. “Many countries want better visibility of the oceans surrounding their territories,” Adam Bennett, Hawkeye 360 marketing director, said by email. In the coming months, HawkEye 360 will expand the catalog of signals it identifies and pinpoints to support additional maritime, defense, border security, emergency response and telecommunications applications. Hawkeye 360, a Herndon, Virginia, company established in 2015, launched its first three satellites in December on a SpaceX Falcon 9 rideshare mission. Hawkeye 360 announced in February that it had completed commissioning satellites in the constellation and could pinpoint the location of radio frequency signals. “Although RF signals are ubiquitous, there has never before been a commercially available product that can independently locate, process and track a broad range of signals,” Hawkeye 360 said in its April 4 news release. RFGeo is designed to provide customers with the coordinates and observed characteristics of RF sources. RFGeo delivers information to customers in a format compatible with common commercial Geographic Information System software tools, the company said.